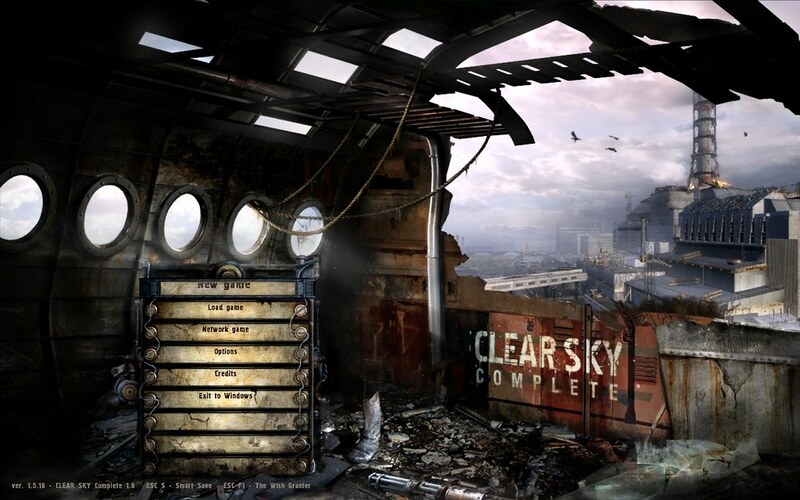 Clear Sky Complete is a part of the Complete mod collection, which is a series of modifications created by professional artists dedicated to enhancing the S.T.A.L.K.E.R. games. The Complete mods focus on improving the original game’s graphics, sound, and atmosphere, while preserving its core elements. 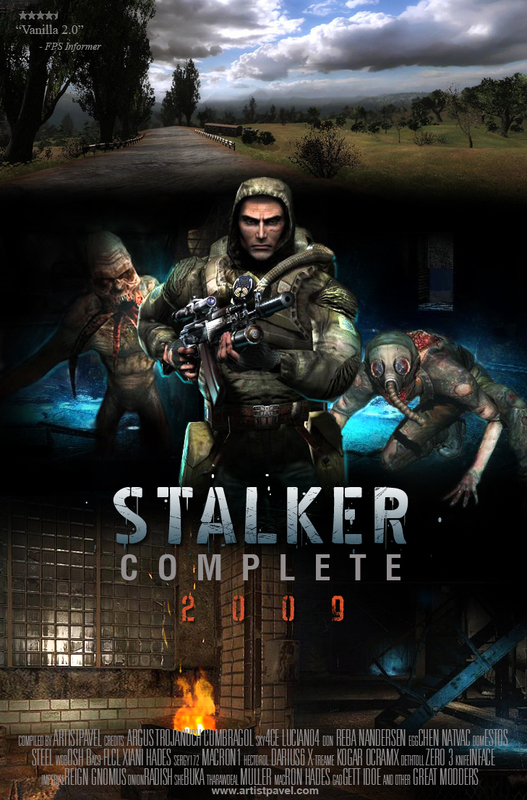 Built upon the success of STALKER Complete 2009 (which was downloaded well over 100,000 times), this entry in the Complete collection continues the tradition of aesthetically updating the game without changing the original story or gameplay. Fans can expect a polished and pure Zone experience designed around the most graphically demanding title of the S.T.A.L.K.E.R series - S.T.A.L.K.E.R. Clear Sky. S.T.A.L.K.E.R. 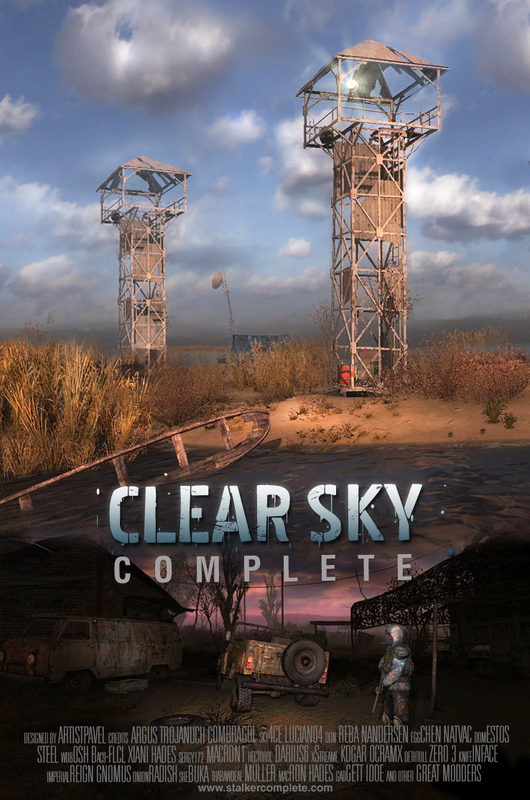 Clear Sky is a graphically improved prequel that integrates newer visual technology that we introduced in our previous mod for S.T.A.L.K.E.R. Shadow of Chernobyl. This gave us a solid foundation for further enhancements, letting us focus solely on the design elements of the games’ art style and aesthetics. The most notable feature is the introduction of the brand new set of distant scenery textures that put the player in the middle of a large open world, rather than the previously “enclosed” map. The original photographs used in this project were captured by our studio during our travels to the Russian industrial town of Mednogorsk, which represents how Pripyat once was. Once we returned to the studio we applied our graphic design expertise to edit our real-life environment captures to closely match the fictional in-game Zone environment. Other graphical enhancements include stunning new lighting effects, natural daytime/nighttime transitions, vivid sunsets/sunrises, redesigned emissions, a new high resolution nighttime constellation map, a full moon, and many other aesthetic improvements too numerous to list. The purpose of this sound overhaul was to further enhance the ambience and atmosphere of the Zone with the addition of higher quality and more realistic ambient audio files. Each map now includes a sound theme that varies between night and day. All this has been integrated without diminishing the original sounds unique to Clear Sky, ensuring a superior audio experience. All weapon sounds have been replaced with comprehensive analogues, and footsteps, bullet impacts, anomalies, creatures, and many other sound categories have been improved. This mod introduces nearly a hundred acoustic guitar and vocal songs. They have been added to campfire music sets, and are unique to each faction. This live music was recorded specifically for this game, creating an unforgettable ambience. Also, some new and familiar music tracks can be heard on the radio and megaphones throughout the Zone. However, this mod doesn't modify the dynamic combat music, which can still be turned on and off in the game options. Crash Fixes - many potential “crash to desktop” errors have been eliminated. Quest Fixes - fixed bugs in 9 quests that couldn't be completed under certain conditions. Gameplay Fixes - fixed a large number of gameplay bugs that could keep the game from progressing, like preventing the accidental death of important characters and other triggered events. Weapon Fixes - fixed animations, incorrect ironsight positions and corrected the depth of field effect on most weapons. The Wish Granter - activated via the ESC F1 keyboard shortcut, it is a hidden interface designed to let you enable vehicles, control weather, and place anomalies, characters, mutants and much more on the map. You can essentially build the game around your preferences through this interface. Sleeping Bag - allows the player sleep in-game, and now features an advanced safety level indicator. Gnomus' Scopes - a scope system similar to one used in most modern FPS games. Elite Nightvision - improved black & white night vision. Teleport - allows the player to jump between points in the environment with the ability to save custom coordinates for future use. With the new user interface update you no longer have to skip through introductory movies. Also, the HUD colors have been muted so they don't distract and the inventory window is now semi-transparent, which allows the player to view the weapon currently being equipped. Also, the ESC+S shortcut from Stalker Complete 2009 is added, which works like a “smart quick-save” creating a separate save file with level name, in-game date, and time each time it’s used. The user manual contains a comprehensive credit list. This poster was created entirely from in-game screenshots, except for main character, this is what the game really looks like with SC2009. 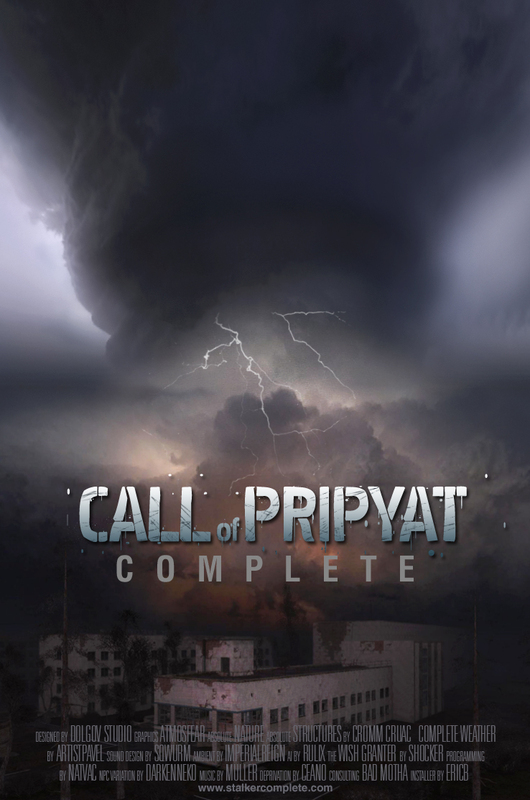 If you haven’t played 2007’s most immersive and atmospheric shooter, or you’re back for replay, this mod is for you. This is the world of S.T.A.L.K.E.R. like you’ve never seen before, with updated graphics and added functionality that don’t change the original story or gameplay. The game hasn’t been changed beyond recognition, but rather enhanced while preserving the core elements that made it the unique experience it is. What makes this mod different? It was designed by professional graphic artists with rich experience in the field, following industry standards for creating interactive 3D environments. It features artistic works and modifications from many community members unified under one art direction. The game has been redesigned with new visual qualities, and is offered as one convenient, complete package to reach a user base beyond the modding community. 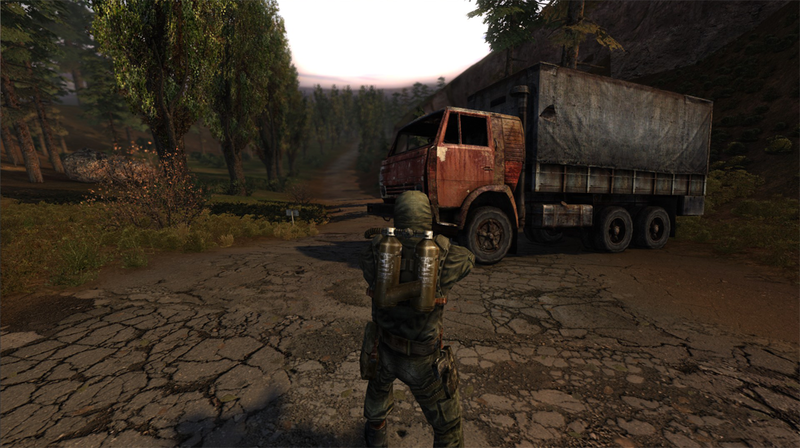 This mod has been created with a thought of bringing the beautiful and immersive game of S.T.A.L.K.E.R. Shadow of Chernobyl from the previous generation when it was created to an up-to-date experience you’d expect from games currently being developed. The following list details the carefully chosen collection of technically advanced and aesthetically brilliant modifications that were created by talented modders, concept artists, and programmers over the past two years. They are meant to technically and artistically enhance the original feel and atmosphere the developers meant you to experience, without compromising it in the process. You’ll notice every single detail has been retouched and has a polished feel to it. This is ideal for first time players or people who finished the game in the past and now are coming back to replay it on newer, more powerful hardware on improved resolution and graphics. Natural lighting, vast panoramic views, depth of field, parallax mapping, SSAO, over 900 reworked texture files, including vehicles and armor suites with manual bump editing, you won't believe it's the same game. Vast distant views, creating large open world around the player. New multi-phase moon design authored by Dolgov Studios. Proper sun travel according to date (01.05.2012) and geographic location (Ukraine). Enhanced High Dynamic Range lighting and Sun effects (including realistic sunsets and sunrises). Different types of storms, both fast and slow. High resolution nighttime constellation map. Parallax Occlusion Mapping - Gives 2D textures the illusion of 3D geometry, most visible on surfaces such as brick walls. Screen Space Ambient Occlusion - a shading method, approximating the way light radiates in real life, creating soft shadows in corners and hard to reach places. Depth of Field - A shading method that approximates the way light radiates in real life, creating soft shadows in corner-type places with a difficult lighting sample. Motion Blur - A streaking effect frequently used to show a sense of speed when the camera quickly moves around. Particle system - Enhanced rendering of fire, explosions, smoke, muzzle, sparks, falling leaves, anomalies, fog, and more. Water Shaders - Improved water effects ported from S.T.A.L.K.E.R. Clear Sky. Fire Dynamic Lighting - Fire now illuminates the surroundings, casting dynamic shadows. Locations - All location textures have been replaced with higher quality photographs with partial use of original files and assets other games in the S.T.A.L.K.E.R. series. Living Creatures - Mutated creatures have soaking wet flesh showing through wounds, creating a disturbingly graphic effect. Also, all humans in Zone have been retouched down to even the finest details (armor, shoes, wrinkles, faces, even their eyeballs). Vehicles - 20 year old vehicles in the Zone now appear realistically rusted and abandoned. The game’s notorious reputation of being a huge bugfest ends here. Over the past two years a joint community effort has accumulated fixes for most known bugs and crash to desktop exits left out by developers after patch 1.0005. With the release of the unofficial community patch, bug fixes and numerous positive gameplay tweaks are implemented, such as realistic weapons names, reduced head bobbing, increased actor’s height, increased inventory weight limit, extended quest times, and more. New abilities - NPCs can avoid anomalies, remove dead bodies from camp sites, throw grenades, change armor, and even heal other NPCs. You can also give weapons and armor to NPCs by selling or dropping it near them and giving them privacy to equip them (NPC’s preferences may prevent them from accepting the items, however). Early detection - removed the ability for NPC's to notice you at unrealistically large distances. Stealth - Removed the ability for NPC’s to notice the player at unrealistically large distances. Death panic - Reduced the sound distance of death cries (in the original game it caused the entire camp to alert once one member was hit, as it was set to be heard at a great distance). This mod replaces a massive amount of in-game sounds, including weapons, anomalies, equipment clatter, footsteps, nightlife, bullet fly-by sounds and more with higher quality versions. Also, the mod adds unique ambient sounds for each weather cycle. “Repetitive” NPCs will now only say their lines once (such as the “Get out of here, stalker” line), and hundreds of additional ambient sounds like bar kitchen cooking, nighttime horror sounds, fog sounds, and more have been added to the game, creating a more immersive audio experience. The mod also adds a new music collection, featuring 84 new acoustic guitar compositions added to the existing set plus a few vocal songs in authentic language unique to each faction. This is the only music mod where compositions have been performed live and recorded specifically for this game by a musician (no MIDI or generic karaoke tracks were used). 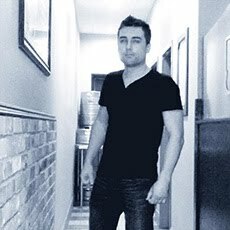 This is live music with human touch that blends seamlessly with the ambient soundtrack, and makes you want to spend more time by the campfire. Also, NPCs will now randomly play the harmonica in addition to the guitar. Finally, 19 authentic music tracks can be heard on the radio and from the megaphones throughout the Zone. S.T.A.L.K.E.R. Shadow of Chernobyl is not exactly a textbook example when it comes to localization. Misspelled words, typos, grammatical errors, and humor lost in translation can be charming at times given the context, but creating unnecessary difficulty in understanding their meaning. Most of the text received a grammar-friendly rewrite, providing a much improved English localization. A visual overhaul mod isn’t complete without a new, custom user interface. This is why we are proud to present our very own Main Menu, Loading Screen, and redesigned HUD. Created by our graphic design firm, the interface incorporates existing in-game art and photographs of actual Chernobyl disaster zone artifacts, adding a unique art style and authentic feel. Certain buttons have been conveniently reorganized for more intuitive access and new shortcuts added, such as ESC S which works like a “smart quick-save”, creating a separate save file with the level name, in-game date, and timestamp each time it’s used. Sleeping Bag - It’s always in the inventory and allows the player sleep in-game. Faction Change and Reset - Now players have the ability to reset hostile status and join factions outside of the storyline. Ragdoll Physics - Natural death and hit animation, and kills will no longer cause extreme ragdoll effects. Bulb tweak - Now you can shoot the lights out! Gnomus' Scopes - High resolution scopes for widescreen and standard monitors. Repair Kit - A special item to the game that allows you to repair weapons and armors out in the Zone. The only way to get this rare item is to loot it from a NPC’s corpse. Repair Services - The bar trader and Screw now sell weapons and armor repair services. Chernobyl TV - Replaced the original TV animation with actual Chernobyl footage. Elite Nightvision - Black & white night vision based on the psy_antenna postprocess effect. This one really makes you see in the dark. ZRP Teleport - The ESC J shortcut lets you jump between the points in the environment. Third-Person View - Press F1, F2 and F3 to cycle through camera views and + or - to zoom in & out (by default this feature enables camera toggle only, add -psp switch to a shortcut to activate a third-person gameplay, please refer to Technical FAQ page 15 for assistance). Other features - Authentic food and drink skins, the ability to drag dead creatures’ bodies, the ability to carry selected explosive fuel cans & barrels, the ability to shoot birds, and more! After your journey ends with the “good” ending, you’ll get the dialogue that will let you continue the game in freeplay mode, allowing creatures and NPCs to migrate freely about in the environment. It will be a living and breathing zone with self sustained A-Life and unscripted events. This feature doesn’t remove the ending scene, so players will still have the enjoyment of viewing the cinematic completion of the game. You can skip the entire story line from the start by pressing ESC T while in-game and teleporting to the last map or by clicking Freeplay and “Equip for Level” to start from the first map. There is also a large number of small subtle changes that make big difference in overall experience. ReadMe contains extended list of mods and their respective authors who contributed to this project. This mod will run smooth as long as you have a video card with Shader Model 3.0 and large amount of memory to accommodate textures, it performs better than S.T.A.L.K.E.R. Clear Sky/Call of Pripyat, while providing similar and often better visuals, it's DirectX9 and the X-Ray engine at full potential. 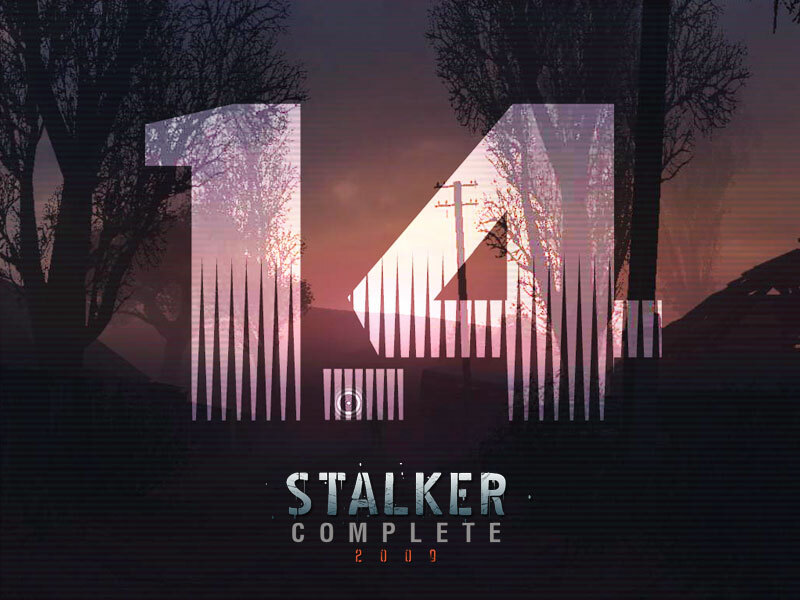 Designed and tested for STALKER version 1.0005/1.0006. Starting a new game is required! 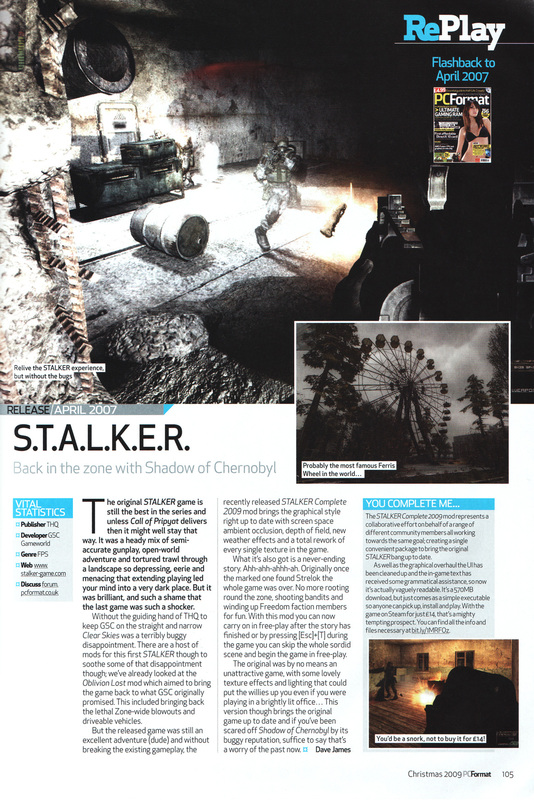 STALKER Complete 2009 in retrospective S.T.A.L.K.E.R. review by PCFormat magazine, issue #234. Lighting – the new day-night cycle’s particularly spectacular – and textures are what’s most lovingly touched by the hand of mod, but on the non-graphical front much of the in-game text gets a more grammar-friendly rewrite and the HUD receives a much-needed overhaul. [...] the graphical changes are immediately smack-you-in-the-face obvious. It's stunning. Whereas looking at old STALKER made me think of, well, a 2007 eastern European PC title, the texture and shader upgrades in STALKER Complete 2009 made the place instantly come alive. 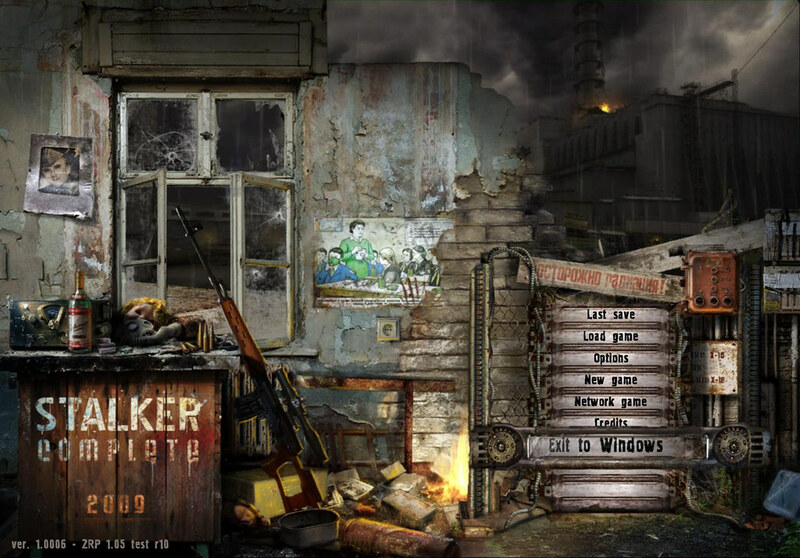 Stalker Complete 2009 combines several modifications that improve Stalker: Shadow of Chernobyl in matters of graphics, gameplay and atmosphere. As mods go this is one of the most subtle imaginable. It does not attempt to change the atmosphere or effect of the game world, but simple to enhance it. 900 new textures, an improved sky and weather system, and the introduction of expanded graphics options make this one of the most exquisitely beautiful experiences ever to grace a gaming system. [...] this is, finally, the finished and complete version of Stalker - as good as it could possibly have been on release. New main menu art based on real photographs from Chernobyl zone, I placed items one by one as I was looking through pages of disaster documentaries. Contains references to labs X16 and X18 and in-game items. [STALKER Complete 2009 User Manual] (Readme, PDF), please read the Technical FAQ on page 11, it contains answers for many common questions, updated regulary. It's recommened to temporary disable Microsoft Security Essentials, if you have it installed (this can be done under Settings inside the program), as it will try to unpack and scan the installer resulting in unresponsive system. The file is obviously clean.